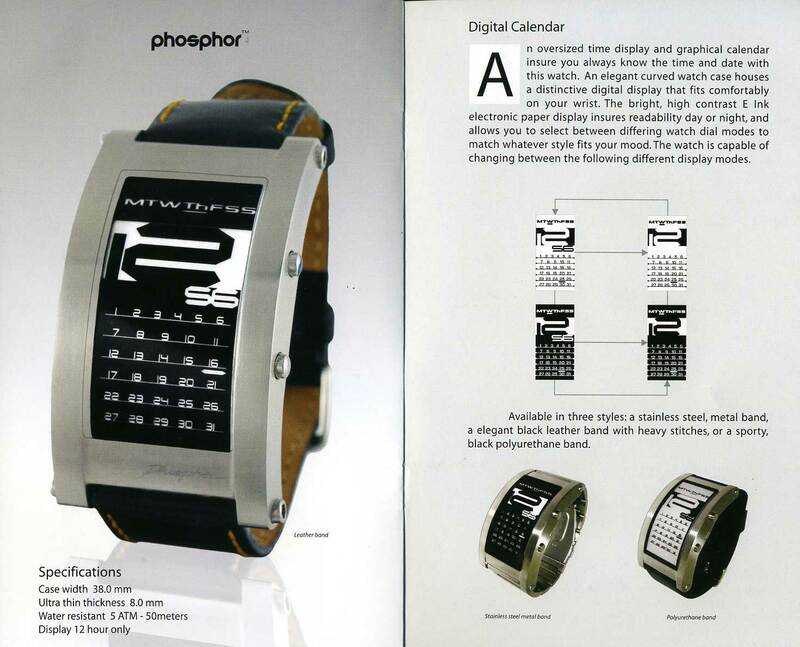 Phosphor is the first exclusively e-paper wristwatch brand. It was launched with a single model last year which was the first Analog / Digital E-paper combo and at the Hong Kong 08 Fair, they’ve extended their line with two additional models that should be launched by the end of the year. 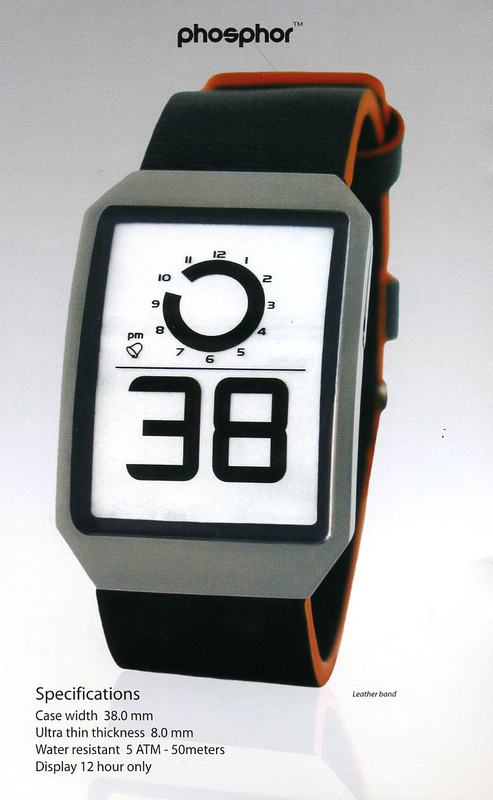 The creator of the brand is a former VP of Technology of Fossil. 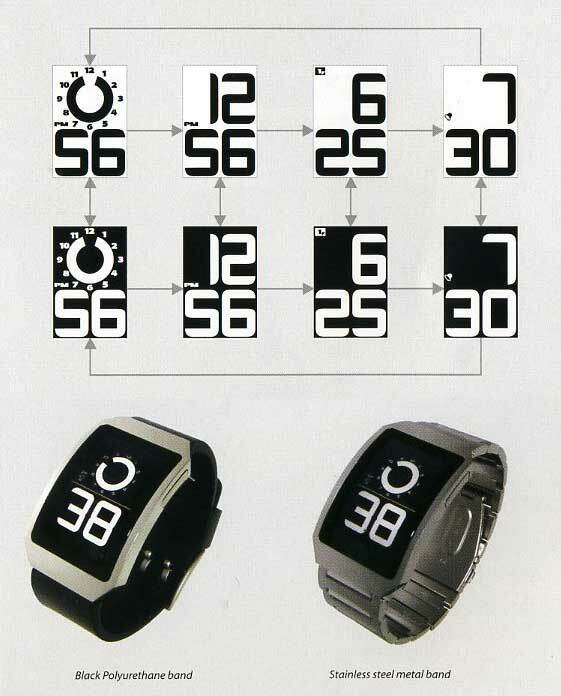 Have the first version of the e-ink watch and will get these two too, beautiful ones!